Charlie was raised in Knoxville, attended college at Wake Forest University, and earned his Ph.D. from the University of North Carolina where he met his wife, Kelly. Following graduation from U.N.C. Chapel Hill in 1999, he and Kelly moved to Murfreesboro where he began teaching economics for the Department of Economics and Finance at Middle Tennessee State University. He later served as department chair from 2008-2014. Bloomberg BusinessWeek, U.S. News and World Report, and the New York Times have recently cited his research on employment trends, wages, labor force participation rates, and employment benefits. First elected in 2010, Charlie also serves as a Republican on the Rutherford County Commission. He chairs the commission’s Audit Committee and serves on the commission’s Budget, Finance, and Investment Committee. Charlie currently is a member on the boards for the Murfreesboro City Schools Foundation, the Linebaugh Library Foundation, and Oaklands Mansion. He is a past board member of the Murfreesboro Domestic Violence Center, the United Way of Rutherford and Cannon Counties, and the American Heart Association. Charlie was a scout with the Boy Scouts of America and achieved the rank of Eagle Scout. 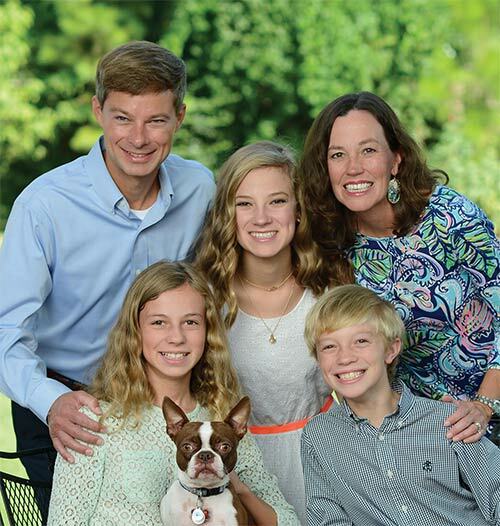 Charlie and Kelly have three children, Elizabeth (15), Anna Jane (13), and Charles (12), who attend the Siegel schools in Murfreesboro, and they are active members of First United Methodist Church in Murfreesboro. Charlie Baum is an Economics Professor at MTSU and also serves as a Republican on the Rutherford County Commission. He has developed a reputation for being a conservative who works to keep property taxes low, eliminate wasteful spending, and reduce excessive government regulation. Charlie voted for efforts to refinance county debt at lower interest rates, saving millions of taxpayer dollars. He has voted against proposals to increase property taxes, offering alternatives to avoid those increases. Charlie has dedicated his career to teaching and has worked with the school board to support education. He has supported the construction of several new schools and a full-time School Resource Officer (SRO) in every county school to make our children safer. Charlie supported Rutherford County’s efforts to start a “Veterans Court,” which works to reduce recidivism and pressure on the adult detention center by providing veterans with counseling, monitoring, and mentoring. Voted to start a “Veterans Court” and has supported the county’s drug court and mental health court.